Did you know you can now order your Just Eat takeaway from Shanghai 30s here on View? Shanghai 30s in St Aldates offers an extensive menu full of tasty Chinese dishes. The good food and service makes it a popular restaurant. Do you work at Shanghai 30s? What did you think of Shanghai 30s? Really enjoyed all of the food, best Chinese food since I wast last in shanghai. Can't recommend this restaurant more, especially to those who like the spicy option. Truly, terrible food - soggy pancakes and dry crispy duck - surely the basics that any good chinese restaurant should be able to get right??? 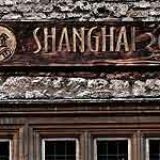 Slightly off the beaten track and named to relect the time when Shanghai was known as the Paris of the Orient, Shanghai 30s serves authentic Chinese cuisine in relaxed surroundings. It's one of those secrets that are well worth discovering. Not the easiest restaurant to find. Shanghai 30s is hidden down an alley just off St Aldates. Even after finding it you need to negotiate a staircase before arriving in the restaurant itself. It's within easy walking distance of the main shopping areas and the nearest pub is the Head of the River (great for a summer's evening). At the top of stairs is a waiting area, decked out in authentic 1930's style with a very decadent looking bar and some toilets - watch out for the goldfish that lives in a plant pot! The dining area next door is spacious and welcoming. The bar area feels a little bit like a headmaster's study because the noise from the dining room doesn't carry through, and you'd be forgiven for thinking you were there on your own. 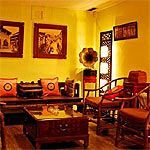 Once you enter the dining room however, you'll notice a lively buzz of happy diners enjoying their evening. 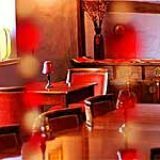 The staff are very friendly, polite in a way that is rarely seen these days and will always go the extra mile to make sure you have a great evening. Shanghai 30s comes as a great surprise to those who believe Chinese food is bland, sloppy and laced with MSG. 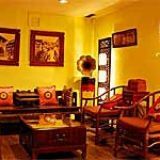 Their menu is rich and varied and, while you'll find traditional favourites, it contains a lot of dishes you may not have come across before, especially if your experience is confined to the local takeaway. Appetisers such as Qi Family’s almond chicken (minced chicken breast, coated with sliced almonds, crispy fried with lemon sauce - £5.50), salt and pepper squid (£5.90), and drunken chicken stimulate and challenge your tastebuds. Also on offer is a range of traditional dim sum (steamed dumplings and buns). You can enjoy the traditional crispy duck before moving on to a huge range of main courses. Highlights include the signiture Sichaun dishes such as Firecracker chicken (not for the faint of heart) and the intriguing range of seafood such as steamed wild sea bass fillet and mango and black cod rolls. Vegetarians are very well catered for with a range of dishes including some tofu options. Expect to pay around £5 for each appetiser and £7 to £10 for mains. If you'd rather just relax and try a range of dishes, you can opt for a banquet, which starts at £22.50 a head. In keeping with the food and surroundings a range of wine is available from £20 a bottle and no Chinese restaurant would be complete with out the ubiquitous TsingTao Chinese beer. There's also a choice of cocktails from £6 that are fruity and an ideal aperitif. 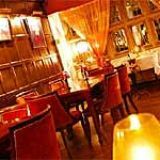 A hidden gem, with its large and varied menu, attentive staff and salubrious surroundings you really can't go wrong - just be sure to consult a map, or you may spend your evening wandering around south Oxford.